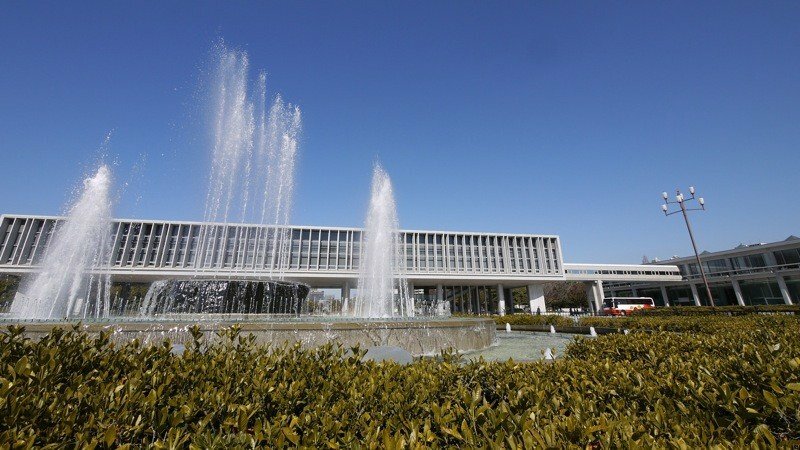 This imposing building of concrete and glass, raised above the ground by huge Le Corbusier inspired piloti, stands at the southern end of Hiroshima's Peace Memorial Park. 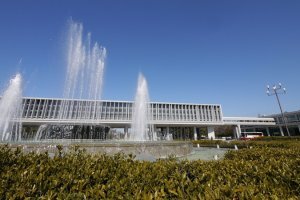 Built in 1955 and part of architect Kenzo Tange's Peace Center design, it is visited by over a million visitors a year from across Japan and around the world who come to learn about the August 6, 1945 A-bombing and its aftermath. The museum is divided into two sections. The first (the East Wing) begins with a history of the city and its development as a military center in the decades before the Second World War. 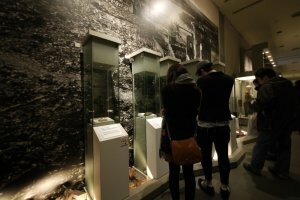 Then follow some exhibits illustrating life during wartime, after which, the focus shifts to the development and decision to drop the A-bomb. 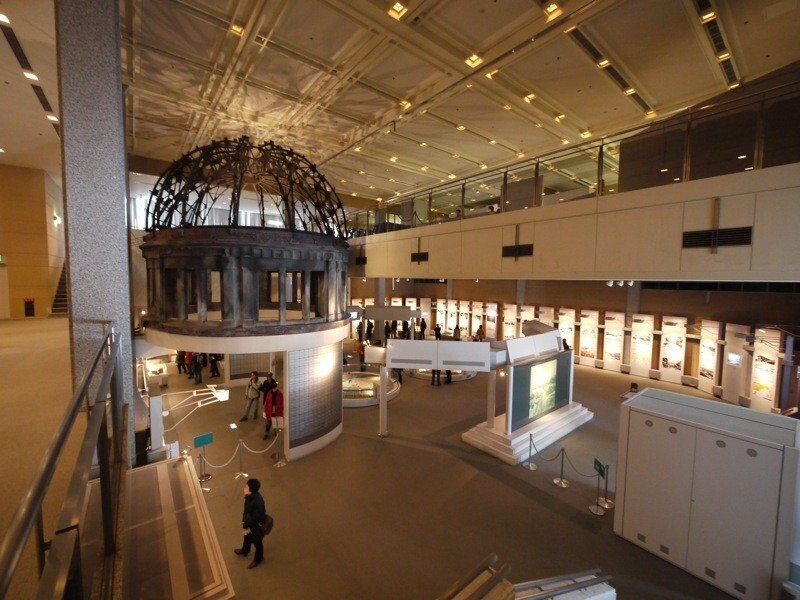 Under a large reconstruction of the A-Bomb Dome, models of the city before and after the bombing, and a large scale photo of the "burnt plain" give the visitor an idea of the extent of the destruction at a city wide level. 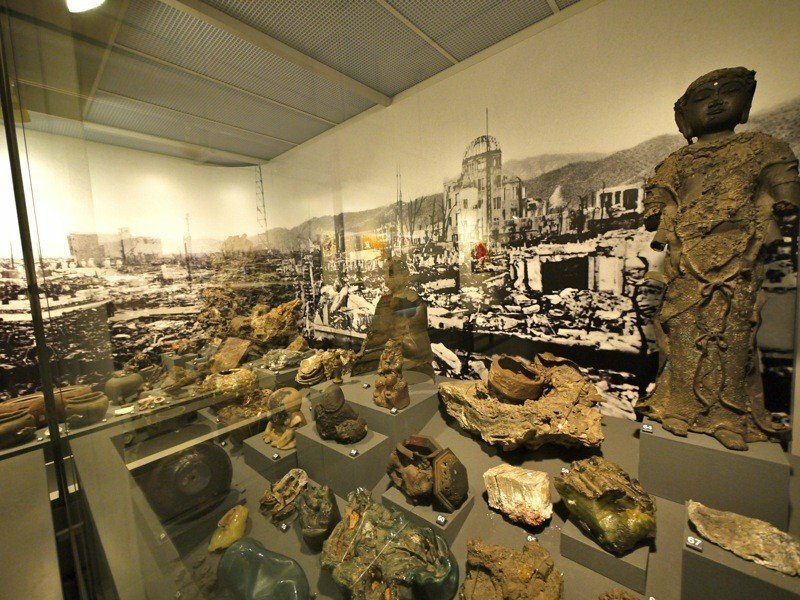 On the upper floor, the city's recovery and the difficulties faced by survivors (hibakusha) are outlined. 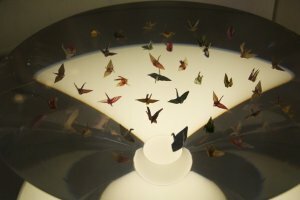 The East Wing closes with a large section that focuses on the threat of nuclear weapons and Hiroshima's ongoing effort to promote their abolition. The West Wing focuses more specifically on the damage caused by the bomb and the continued health effects of the radiation it released. 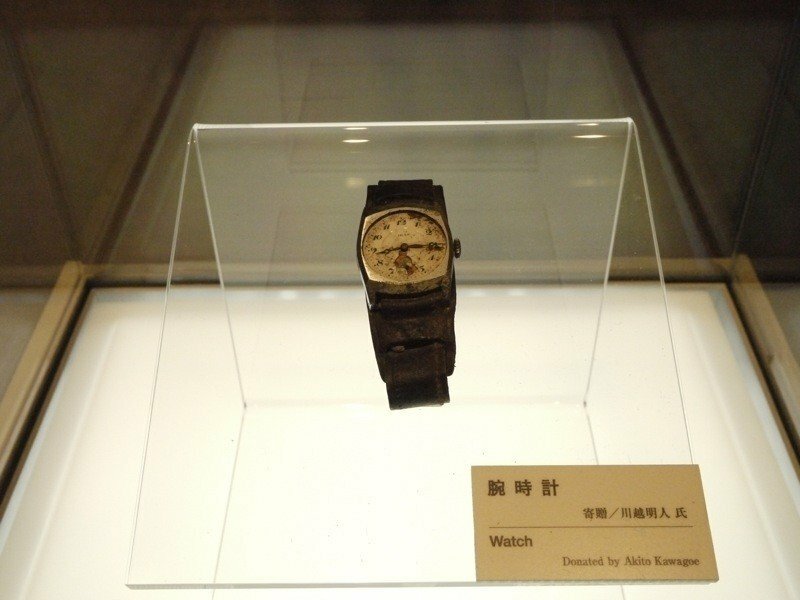 There are displays of belongings left by victims, photos and other materials, some quite graphic, that convey the horror of the event. 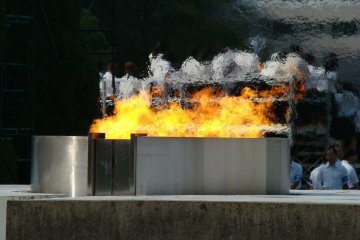 The descriptions alongside torn school uniforms and melted children's toys, while restrained, powerfully bring the huge event down to a human scale, and cannot fail to bring a lump to the throat or tears to the eyes. There are also some heart-wrenching details of those who succumbed to "Atomic Bomb Disease" in the months and years after the explosion, as well a telling of the very sad, but inspirational story of Sadako Sasaki and the peace cranes. 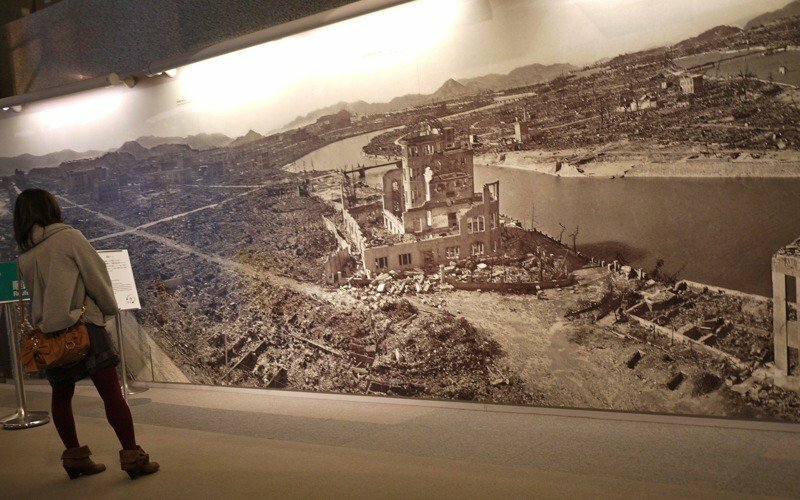 Before the exit, there are several video terminals on which you can watch A-bomb survivors talk about some of their experiences. 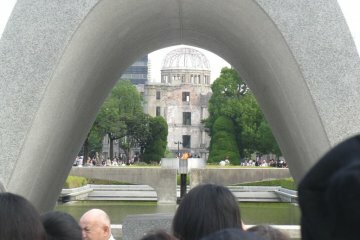 From here, there are also good views of the Peace Plaza out to the cenotaph and A-bomb Dome. 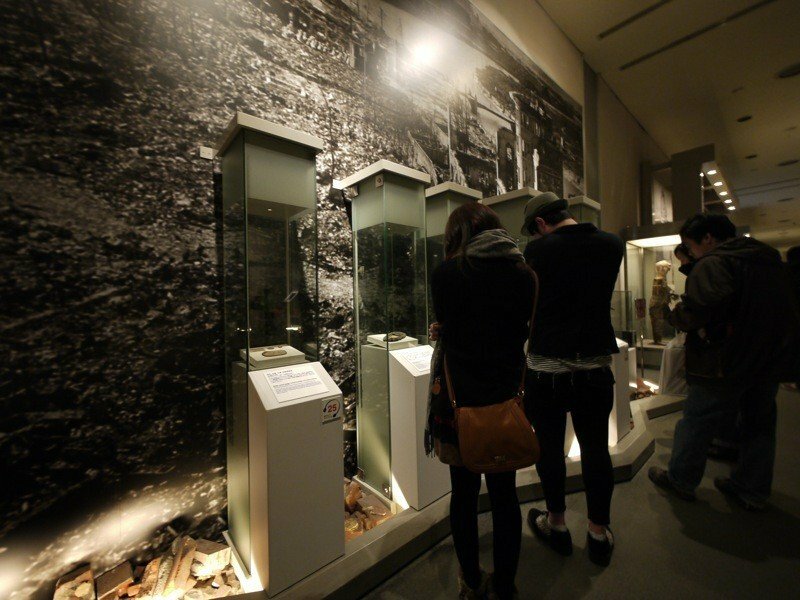 On the basement floor there are often additional thematic exhibitions, a display of recently donated exhibits, and a library which has a selection of English books and videos (access to this part of the museum is free of charge). By no stretch of the imagination can a visit to this museum be described as fun. 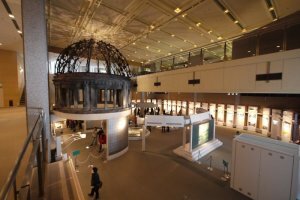 However, the history and legacy of the A-bombing are what bring most visitors to Hiroshima, so, however disturbing it may be, spending at least a couple of hours here is very worthwhile. 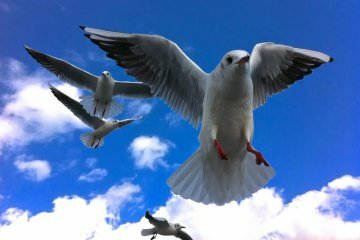 Hope is also to be found here. 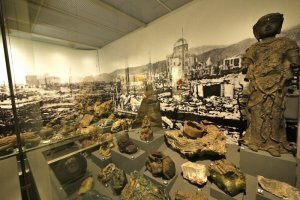 Hiroshima endured the unendurable and has recovered from what at the time was thought to be an unrecoverable situation. 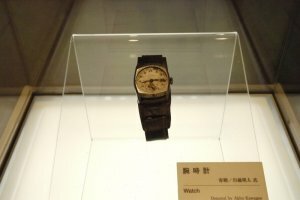 The museum serves, not only, to document and preserve the memory of the event and those it affected, but also to promote its appeal for the abolition of nuclear weapons to prevent such a tragedy ever happening again. Hiroshima's commitment to spreading that message is evident in the nominal admission charge. The Peace Museum really isn't a place to be rushed and it's not unusual for visitors to spend as much as 3 or 4 hours here. The museum does an excellent job of explaining the exhibits in English. Audio guides are also available for ¥300; the commentary doesn't add much to the East Wing displays, but it does include additional details to the personal stories attached to the exhibits in the West Wing. Whichever course you choose to take, you may like to figure in a few extra minutes to sit quietly in the lounge area between the two wings to "process" before moving onto the West Wing. There is also a bookstore here which carries many bilingual publications, as well as T-shirt and postcards. 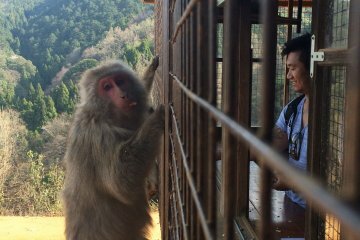 Some overseas visitors feel nervous about how they will be received and avoid engaging with the volunteer guides for this reason. 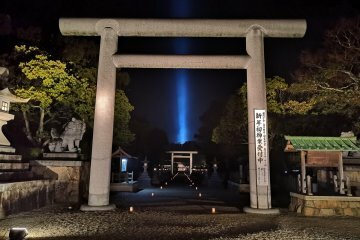 You will find, however, that as with people just about everywhere else in Hiroshima, they are in no way judgmental and are sincerely happy that you are taking the time to find out more about the tragedy. That said, it is perfectly understandable to want to move around the museum at your own pace, processing the exhibits by yourself. Diving straight back into the bustle of city life after the museum can be something of a shock to the system. I recommend visiting the museum first, followed by some time in the park for contemplation and to provide a psychological buffer. 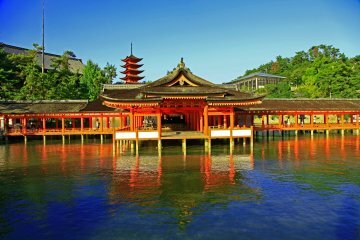 There is a good chance that you will be approached by Japanese kids on school trips who will want to ask you some simple questions in English. Their giggles are infectious and can do a great deal to lift your spirits. Finally, I strongly suggest that you resist the urge to hole up in your hotel. After the necessary contemplation, get out into the city and eat, drink and, yes, make merry, with its people. 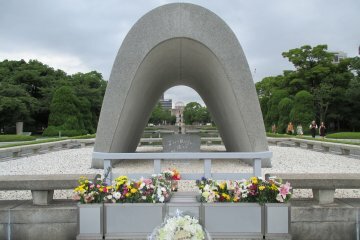 It's only then, I think, that you can get a true and full appreciation of what a special place Hiroshima is. A total of 18 years in Japan and still loving it. 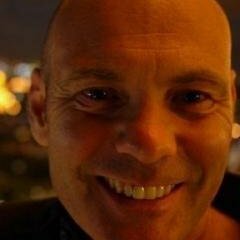 Co-founder of GetHiroshima.com and publisher of the GetHiroshima Guide Map. Lapsed Ironman triathlete. Now trying to fit a passion for ultra distance trail running between raising two kids and occasional sessions in the DJ booths of Hiroshima. 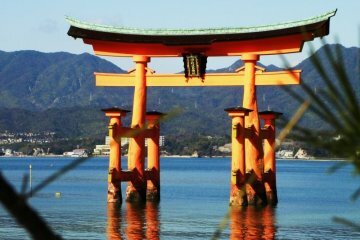 Hiroshima and Miyajima 1-Day Bus..